Eustachian tube dysfunction (ETD) is a common condition afflicting 1% of the adult population and is said to be higher in the pediatric population. Currently, it is primarily managed with medical therapy. However, newer management techniques like balloon tuboplasty have been introduced. To systematically review the available evidence on eustachian tube balloon dilation for treating chronic ETD covering indications, efficacy, safety, short term, and long term outcomes, a literature search was conducted on Google Scholar and Pubmed. 21 publications met the inclusion criteria. Based on the literature review the procedure was found to be effective in alleviating symptoms in adult and pediatric patients immediately postoperatively and long term, up to 5 years. The adverse event rate was 3% and these were mostly minor self-resolving complications. The perioperative protocol varies from center to center. 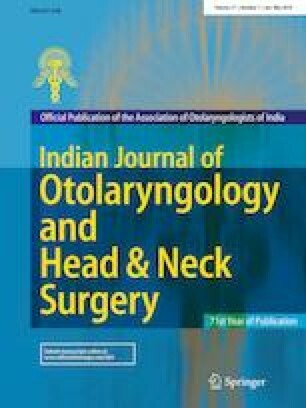 Balloon tuboplasty was found to be safe and efficacious in the short and long term post operatively in select patients with chronic ETD. Dr. Rohan D’Souza and Pooja Kadambi are employees of InnAccel Technologies Private Limited, Bangalore, which is currently developing a Balloon Tuboplasty Device, EustaCare.